Nebraska Republican Sen. Ben Sasse reacted to comments Virginia Democratic Gov. Ralph Northam made Wednesday morning, telling the governor that he shouldn’t serve in government if he supports leaving babies to die after they’ve been born. 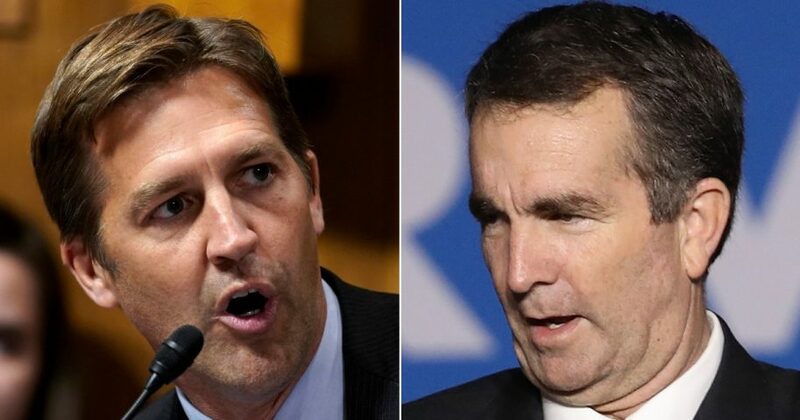 “This is morally repugnant,” Sasse said in a statement after Northam, in a Wednesday morning interview, couldn’t precisely answer whether he supports abortion until birth and suggested an infant could be born and then the mother and doctor could discuss what should happen next, National Review reported. Aborting a baby after it has been born is illegal. Doctor Kermit Gosnell was sentenced to life in prison for killing live babies or leaving them to die after they were born. Northam’s comments came after Democratic Virginia Delegate Kathy Tran introduced HB 2491 in January. The legislation seeks to repeal the state’s current restrictions on late-term abortions. The bill would allow a doctor to perform an abortion when a woman is dilating, meaning she is about to give birth. If passed, the measure will do away with the state’s requirement that second- and third-trimester abortions be performed only to preserve the health or life of the woman. Obtaining an ultrasound before an abortion would also not be required, under the proposed law.